Attention high school students interested in pursuing careers in technical fields! 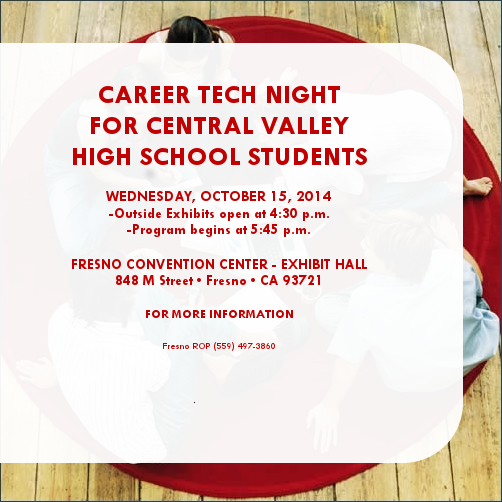 The popular Career Tech Night is taking place October 15th. There will be demonstrations, opportunities to speak with industry professionals, and information from local trade schools and apprenticeship programs.